Hormones and Memory Loss: Losing It. Mental Glue Turned to Goo? You’re wondering in panic where you’ve lost your phone when it’s in your hand waiting on “hold”. You can’t find your glasses, they’re on your head. You went to the store for toilet paper and came home with a baguette, red pepper hummus and fig balsamic vinegar. No toilet paper. With the daily bombing of info (up to 34 gig on average per day), is it any wonder we temporarily lose track of certain things? In today’s world, even losing your kids doesn’t mean losing your mind. If you think you’re on a slippery slope into Alzheimer’s, think again. As we were saying…uh, what were we saying? Ah, yes, when there’s too much on your mind, it’s easy to forget things, get confused or have a short attention span. While it’s not a medical phrase, these brain blips are often referred to as “brain fog”. Brain fog can keep you from remembering things you think you shouldn’t be forgetting. It seems like dark clouds rush in, filling your head with cotton. It feels like your memory is in Teflon mode. You think you’re going insane. But actually, it’s really normal for most of us. So if you think that in 6 months you’ll be in full blown you-can’t remember-your name dementia, forget about it. And consider this; have you ever forgotten to check your Instagram or Twitter account? Have you ever forgotten someone is an idiot? Have you ever considered your brain farts could be the result of tequila overload. Real dementia and Alzheimer’s are the real thing. Light years from brain fog. Dementia (or Alzheimer’s, which a form of dementia) is a condition of the brain which causes a gradual loss of mental ability, including problems with memory, understanding, judgement, thinking and language. In addition, other problems commonly develop, such as changes in personality and changes in the way a person interacts with others in social situations. As dementia progresses, a person’s ability to look after themselves from day to day may also become affected. Someone with dementia may have difficulty understanding what is said to them or understanding written information. They don’t know if it is morning or night. They truly lose it all. So why are you drawing repeated blanks? Why do you feel like your neurons are in Never-Never Land, instead of firing like they’re supposed to? Why do you feel like you’re having senior moments in your thirties (or horrors) even earlier? Hold the panic…it could be hormones. 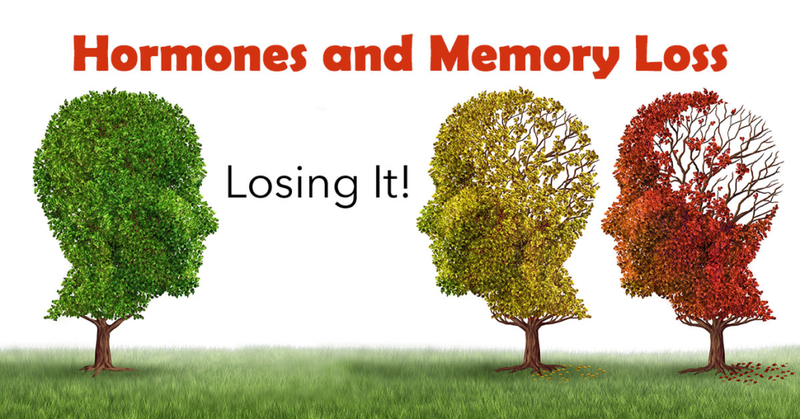 It’s been shown that there is a definite link between memory loss and hormone deficiencies. So your problem isn’t so much brain chemistry as hormone chemistry. Thyroid, estrogen, progesterone, testosterone and other hormones increase the symptoms of brain fog. That ought to clear up your mind. Make a note of this…all the doctors at Denver Hormone Health have vast experience in treating what hormone deficiencies can do to the body. And the mind. Without question, they get the whole picture and know exactly how to treat it. With a few simple tests they can target your hormonal picture and paint a unique treatment plan to put your mind at ease and get you on your way to feeling better and sharper than ever. So don’t even think twice about making an appointment at Denver Hormone Health. It won’t take a post-it note to remind you to call. But make one if you feel you have to. Just make it. http://denverhormonehealth.com/wp-content/uploads/2018/06/06_2018_memory_loss.jpg 628 1200 Stephen Goldstein http://denverhormonehealth.com/wp-content/uploads/2018/03/DHH_logo.png Stephen Goldstein2018-06-13 15:35:172018-06-13 15:47:05Hormones and Memory Loss: Losing It.